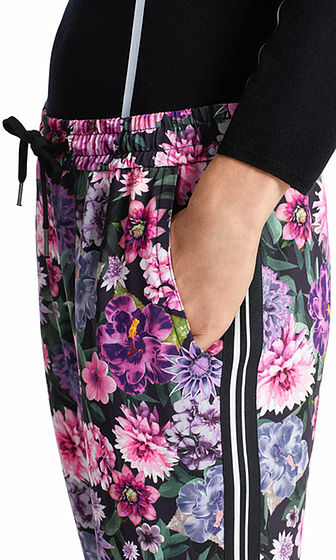 Casual-fitting pants in flowing techno crepe. 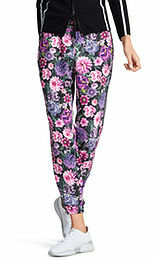 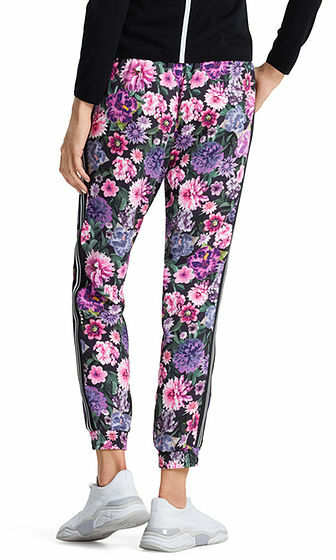 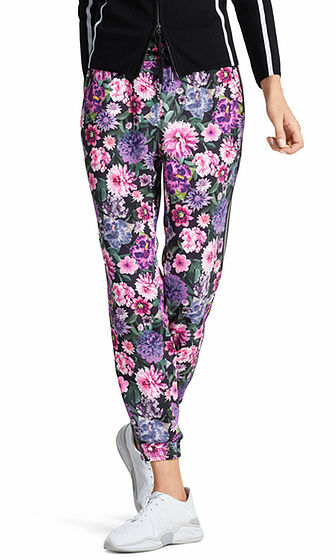 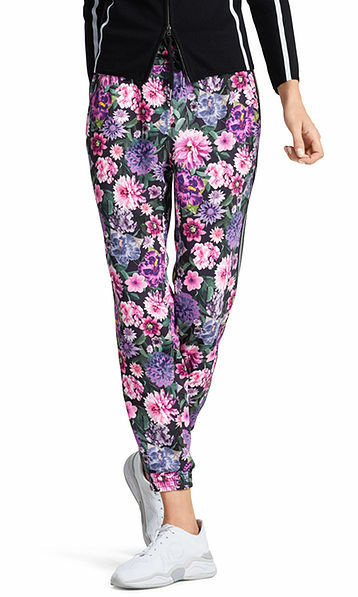 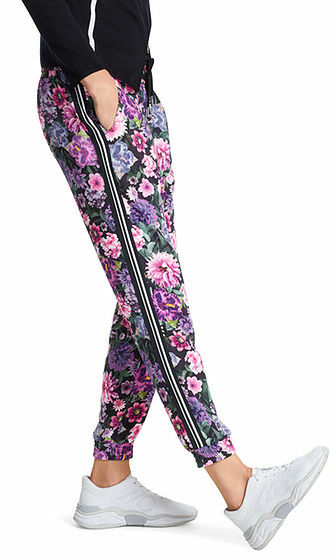 The pants are printed all over with a distinctive floral motif. 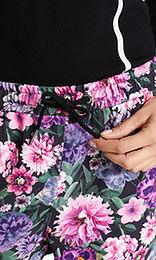 The comfortable elasticated waistband with a drawstring and stretchy ankle cuffs make them very comfortable to wear. Lock-stitched stripe details on the sides complete the sporty look.